If the smiling faces of the people who were bottling the cider at Left Field Cider Co. are any indication of how good it is, I would say the cider is excellent. 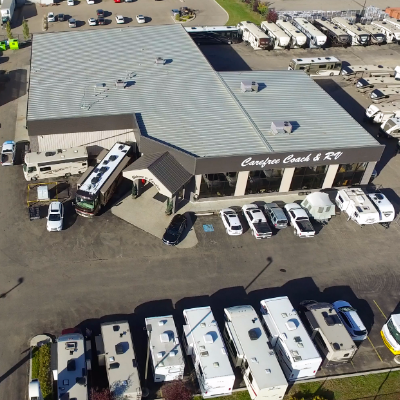 Traveling on the winding Highway 97C, a paved road between Merritt and Logan Lake in central British Columbia, I came to a small craft cider house that’s all about the apples. The fact that this cider house is actually in operation is because Kate Garthwaite decided to try her hand at cider making in her apartment in the Lower Mainland. It wasn’t very good. But it did inspire her to learn more about the craft and to bring her sister, Theresa Pedersen, and their father, Gord Garthwaite, on-board. In 2011 a barn on the family ranch at Mamette Lake became a cider house and the two sisters became cider makers. Since the idea for the business came out of nowhere, the name chosen was “Left Field Cider Co.” Thus, both sisters—the third generation of this ranching family—returned home to the ranch and got to work. Of course that simplifies the steps Kate, Theresa and Gord took to produce a handcrafted English style-cider that is very special. Kate and Gord spent many weekends experimenting with different test batches before Kate moved to England and studied with a great cider maker. 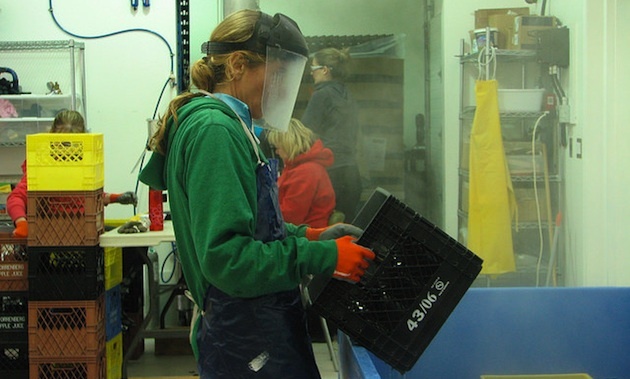 Meanwhile Theresa, who returned from living overseas, and Gord went to Washington state to study cider making and continued with making test batches. When Kate returned home, the timing felt right. In 2011 they made their first 8,000 liters (over 2,000 gallons) and as they say–the rest is history—with 55,000 bottles filled in 2015. They keep increasing production because they continue to sell out completely every year. Using six to eight varieties of apples blended together to make their cider, they only use what is grown locally in the Okanagan. Pressing is done off-site in the south Okanagan because that’s where most of the apples come from. However, the aging and bottling are done at the cider house during the winter months. “What we want people to know is that we make a traditional craft cider, totally full juice, without any concentrates or flavours. Each year the apples will be slightly different and the alcohol content changes,” said Theresa, who let Kate take over from her bottling duties so she could speak with me. 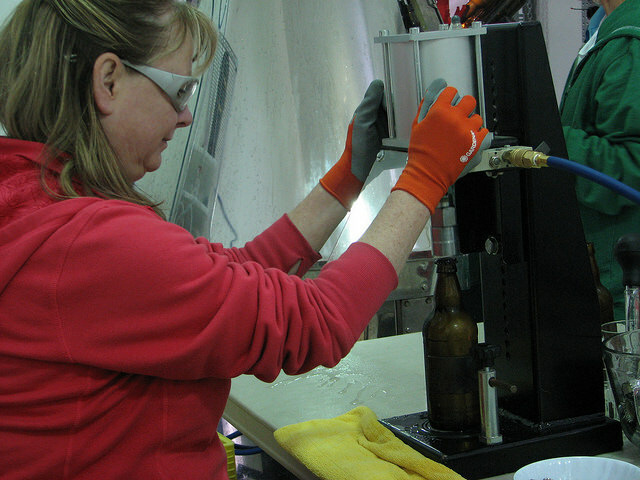 Very hands-on, both women bottle, cap, and label the cider side by side with the staff that is there to help with the bottling. Loading up the boxes containing the bottles of cider, Kate, Theresa and Gord deliver them to the Lower Mainland themselves but hire a distributor for Alberta and Vancouver Island. This family operation is open to the public during the summer months on Friday, Saturday and Sunday or by appointment. Visitors are encouraged to bring a picnic lunch and enjoy the picturesque country scene on the working ranch where the cider house is situated. If you would like a tour, it’s suggested that you phone in advance since they haven’t set up regular tours as yet but welcome visitors during their open hours. This scenic area of B.C. draws tourists interested in the outdoors, camping, fishing or just exploring. Nearby Logan Lake has a lovely community campground that overlooks the lake, popular for fishing, and a golf course right next door. Close by are Tunkwa Provincial Park and Lac Le Jeune, both popular lakes for camping and fishing. 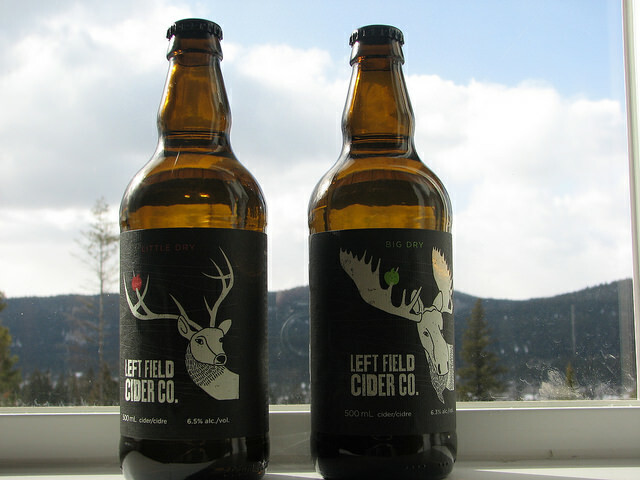 The popularity of cider in North America is increasing, and by visiting the Left Field Cider Co., you will learn about tannins and why they are important to cider making and what a cider apple actually is. They are all about making delicious cider that is best enjoyed with a friend and consumed in a wine or pint glass or over ice on a hot day. It’s up to you. If it’s made from fermented apples, it’s "real cider." If it’s made from artificial flavours, fruit juice concentrate and who knows what else, it simply is not real cider. 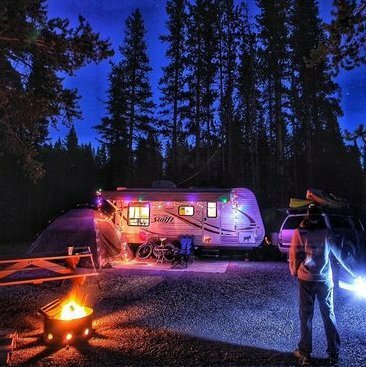 The Spring into RVing photo contest was a great success - congratulations to our grand prize winner and runner-up entries. If my chocolate lab could talk, he would probably tell me that he wanted to be a show dog. Why? 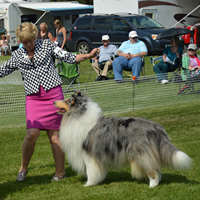 Because show dogs travel in style! I realized this while attending the Cranbrook and District Kennel Club’s 40th Anniversary of Championship Shows and Obedience Trials.